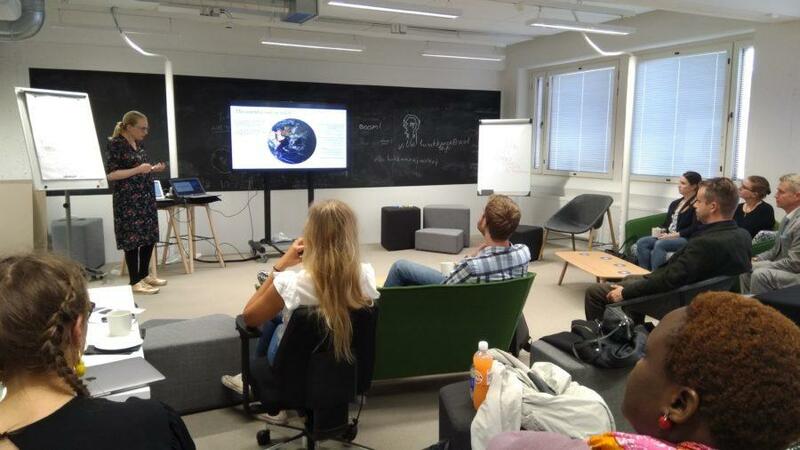 Aalto Start-Up Center, together with A Grid Impact Space, successfully organised the second meetup on 31st, August as a part of monthly Impact Meetups series on Sustainable Development Goals (SDGs) and Businesses. The meetup was focused on Sustainable Development Goal #6 (SDG 6): Clean Water and Sanitation. Dr. Suvi Sojamo who is a Postdoctoral Researcher at the Water and Development Research Group at Aalto University introduced the SDG 6 targets and current water challenges globally. She then presented her research work on ‘Corporate water stewardship as a means to advance water security for all’, focusing particularly on Finnish Water Stewardship Commitment , founded by Finnish research institutes, Finnish ministries and WWF to challenge companies to assess their water risks and to develop sustainable water use and governance throughout their international value chains. on 24.09 and 25.09 at Tampere and Helsinki respectively. The participation on the event is free but there are limited seats available and requires registration. Impact Meetups’ is a series of monthly meet-ups organised by Aalto Start-Up Center and A Grid Impact and will cover all the 17 Goals goals in upcoming episodes. The meetups are intended for start-ups, businesses and aspiring individuals with entrepreneurial mindset. The next meetup in September is about SDG4: Quality Education. Photo and Story by Avinash Dhital, Impact Coordinator at A Grid Impact.